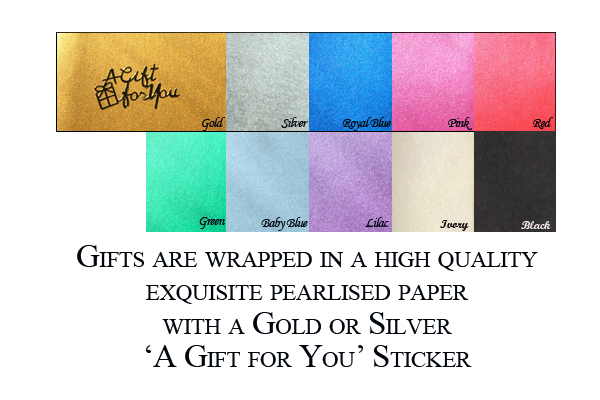 Please order as soon as you have chosen which gift you require, even if your function is several months ahead. Order the maximum number of gifts you estimate you will require and confirm your exact quantities 2 weeks prior to your delivery date. Please add the colour wrapping paper required from the drop down list in each product section. PLEASE NOTE GIFTS IN THE 'Wedding Gifts, Gifts Ideal For Engraving & Engraved Glassware' sections are not gift wrapped free of charge, please ask for wrapping costs. .
Make sure you enter your required delivery date and also your function date, so stock can be allocated to you. Deliveries to your function venue can be made, please ensure you enter the full address and contact name when ordering. Samples can be ordered by telephoning 01202 769554. Samples must be returned within 14 days for a credit (less carriage). What is the standard leadtime for engraved orders? This varies depending on the time of the year but generally our turnaround is 7 to 10 days from receipt of order and artwork. What is the standard leadtime for plain glass orders? If an orders is received before 4pm plain glass orders are normally despatched the same day. If an order can not be despatched on the same day it was received it will be despatched the following day. What artwork do you require to engrave a logo or crest? Ideally the artwork should be supplied as a CDR, EPS, TIFF or PDF file. If the artwork is not suitable to use for the engraving we will advise you that a re-draw is required and a quotation of what the re-draw cost will be. This price is for the Glassware Delivery Only up to 25kg. Each additional parcel up to 25kg £5.00 ex vat. Please select Glassware at the checkout.